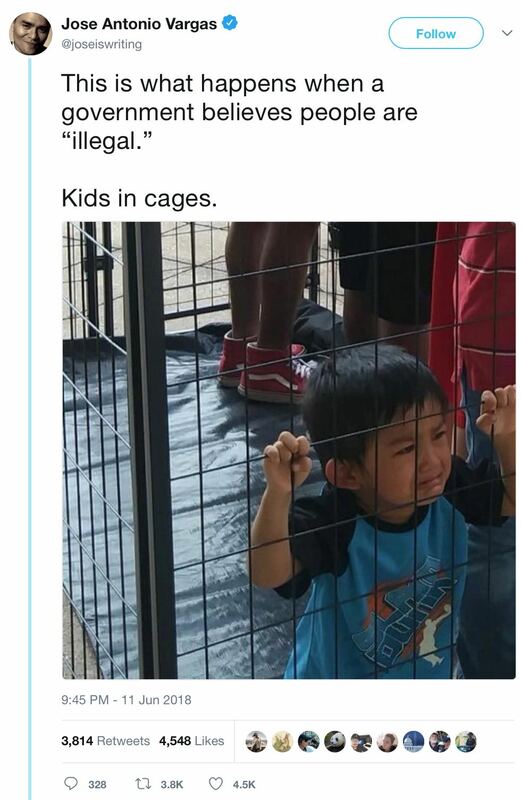 On Monday evening Pacific Time, former Washington Post reporter Jose Antonio Vargas posted a photo on Twitter of children inside a cage. He assumed that the photo depicted unaccompanied illegal-immigrant children recently detained by ICE. Vargas was wrong; but as of late Wednesday morning, he has from all appearances only indirectly admitted his error. 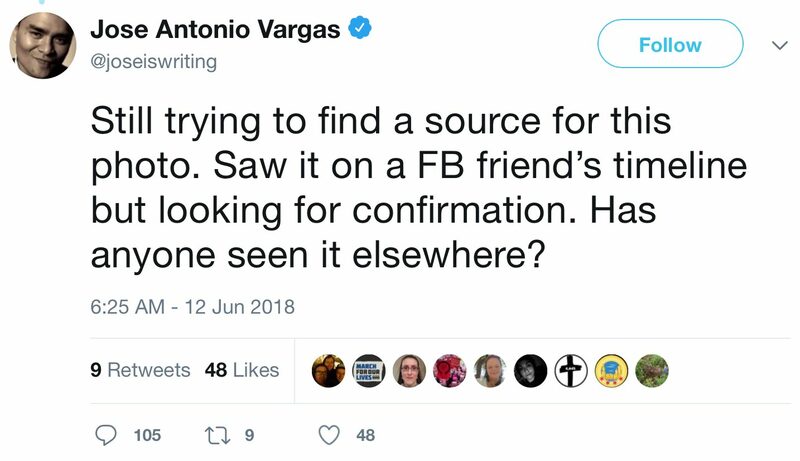 An alleged "fact-check" at Snopes.com would not declare that Vargas's obviously fake-news tweet was false. Instead, it absurdly declared that the photo involved had only been "Miscaptioned." In 2011, Vargas revealed that he had been in the U.S. illegally for decades. Among other things, as NewsBusters editor Tim Graham noted at the time, he "lied to a string of media outlets" which employed him "about his immigration status." Since then, Vargas has headed "Define American," which is "a nonprofit media and culture organization that uses the power of story to transcend politics and shift the conversation about immigrants, identity, and citizenship in a changing America." As such, his group supposedly engages in journalism. Posting a photo of unknown origin while claiming to know what it is about is not journalism. It is a quintessential example of fake news. What we have here is fake news followed by an equally fake "fact check." How is the use of a staged photograph not "false"? Just because it was staged for a liberal protest doesn't make it "authentic."